The great moves of gaming history are a disparate bunch. Some can be pulled off with a modicum of skill with a gamepad, while others demand the timing and patience known only to veteran Swiss watchmakers. Some moves can take years to master, while others can be accessed merely through the press of a button. It’s the effect, not the action, which defines greatness in this field. The Stealth Kill A bit to general to easily narrow down, stealth kills are usually our favourite way to take down enemies, thanks to the often gruesome animations. From the ninja blood sprays of Tenchu to the improvised brutality of Manhunt and the raw stabbiness of Velvet Assassin, these moves have been among the most violent and ruthless in gaming history. For the purposes of this list though we felt that stealth kills as a whole had not, however, been collectively awesome enough to make it onto our list, as no game has really produced a truly definitive move. 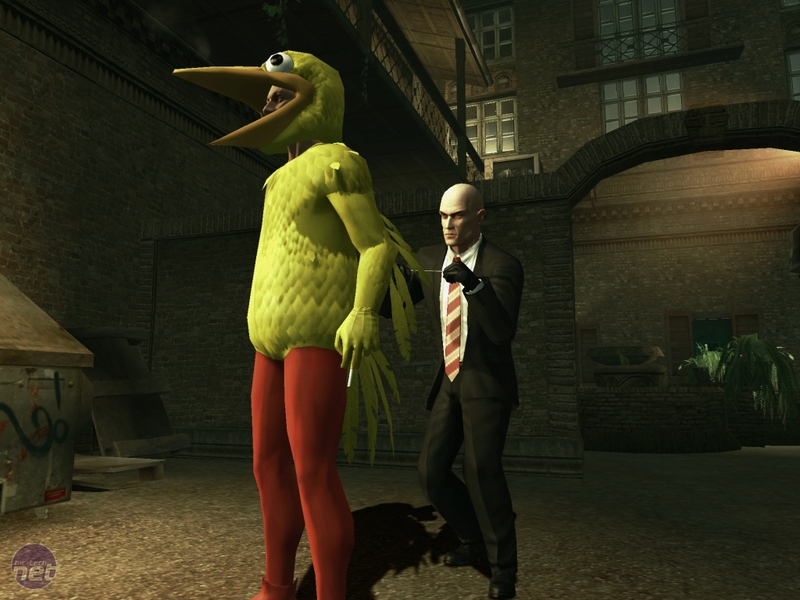 Even homicidal egghead 47’s garrotting exploits in the Hitman series couldn’t sway us (speak for yourself! - ed). The Spinning Bird Kick What’s not to love about the first lady of the Street Fighter franchise turning herself in an upside-down human helicopter in order to kick somebody in the chops? Well, frankly nothing, but it’s still not quite distinctive enough to make the list compared to the other classics of the field. The Riddick Reversal The Chronicles of Riddick: Escape from Butcher Bay featured some of the best hand-to-hand combat seen in an FPS, particularly with the reversal moves. An enemy can attack you, even with a gun, and if you’re close and quick, you can reverse the attack and kill him. Whether you’re grabbing a gun and shoving it under the attacker’s chin so that he blasts his own brains out, parrying a blade or twisting the attacker’s arm and returning the blade to sender, the moves are well choreographed, intuitive to perform and character defining. Even so, they’re still not quite gripping enough to make the list. Anyway, without further ado, we’ll start the countdown of the ten greatest moves in gaming on the next page.